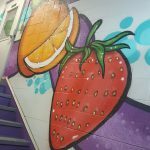 Custom Graffiti Mural by Leon Rainbow for TRC (trcbadgerite.com). 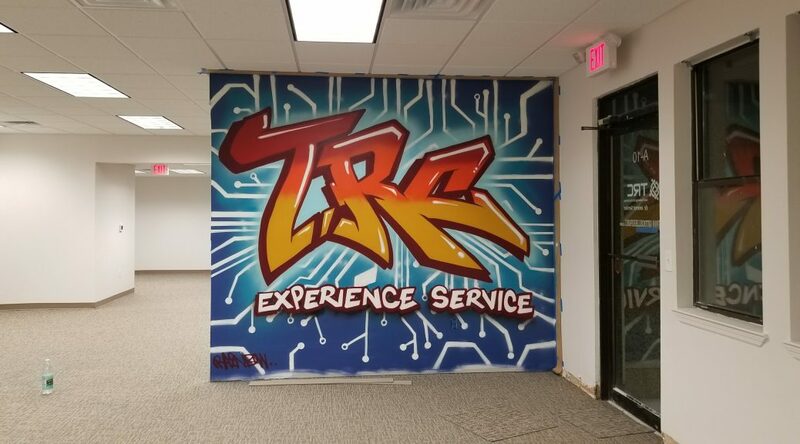 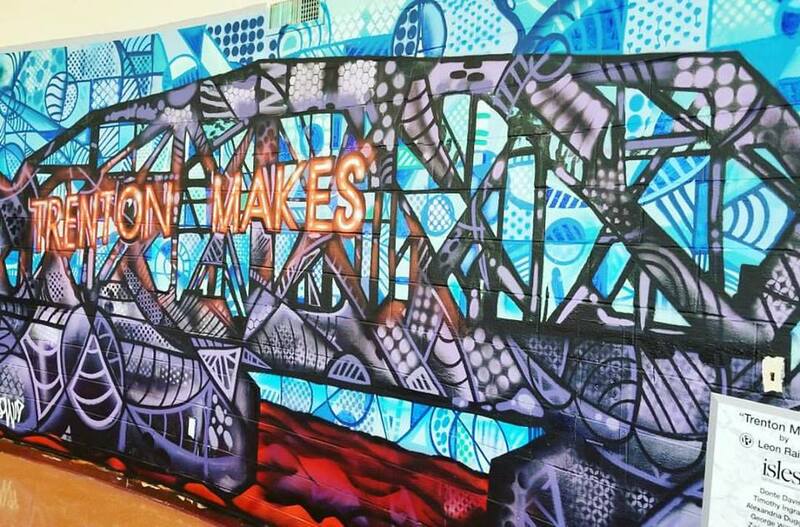 Mural incorporates company name and tagline with circuit board background for new corporate headquarters in West Windsor, NJ. 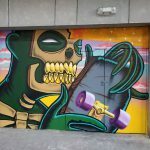 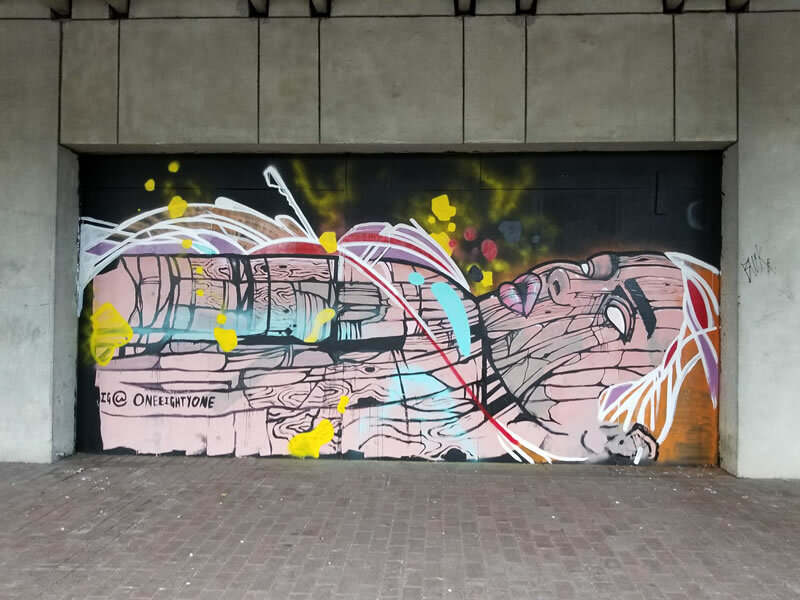 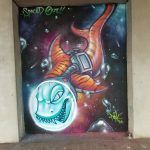 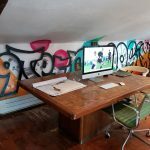 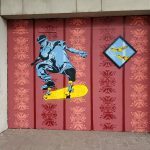 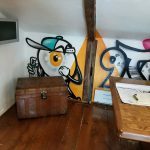 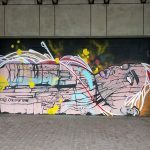 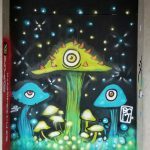 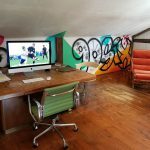 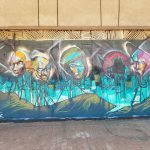 I curated the Murals on Front project. 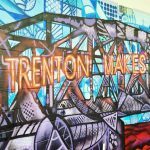 I worked with the Trenton Downtown Association to bring murals to the Levitt Amp Trenton Music Series. 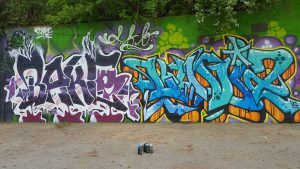 We had a different street artists paint live on Thursdays from 5pm to 8 pm each week during the festival from June 29-August 31, 2017. 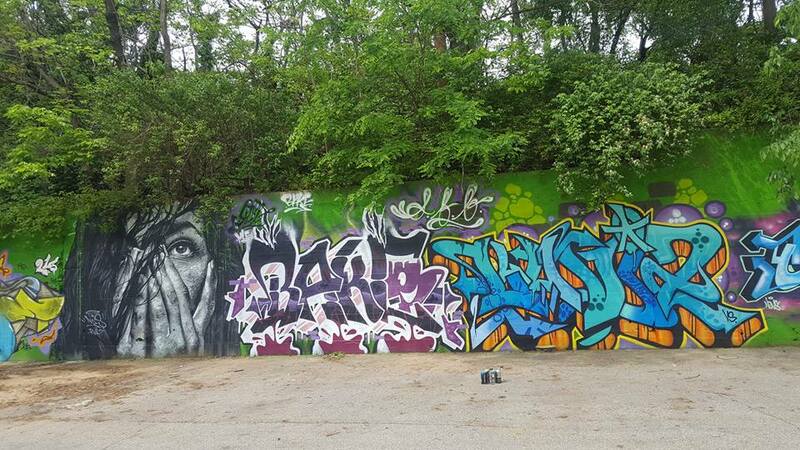 Many of the artists came before and after to finish their masterpieces. 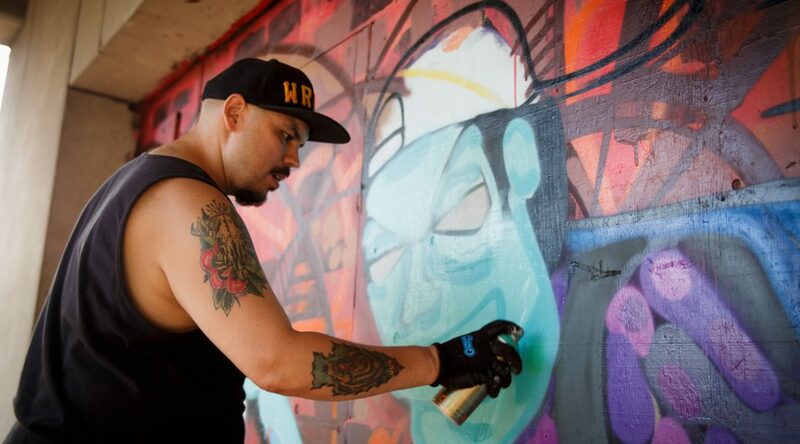 Each artist was given full creative control to create their best works of art. 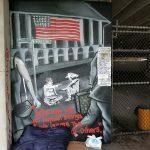 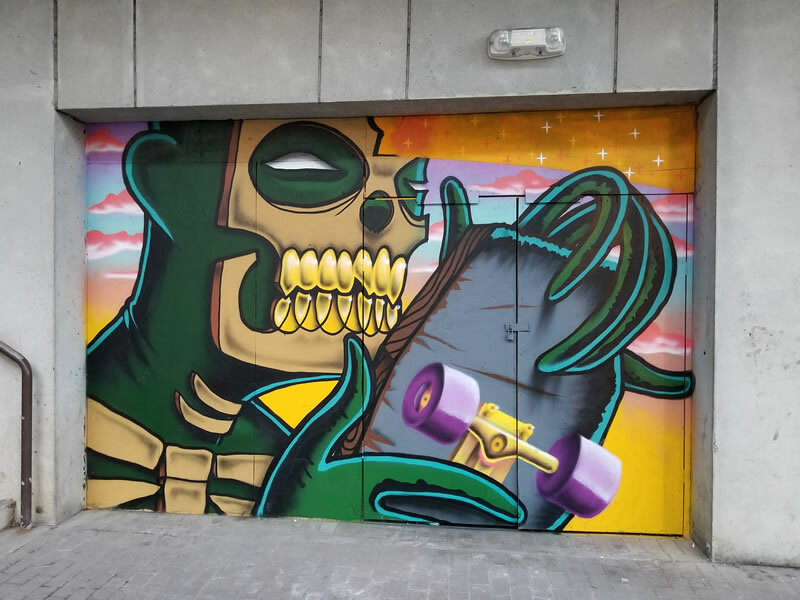 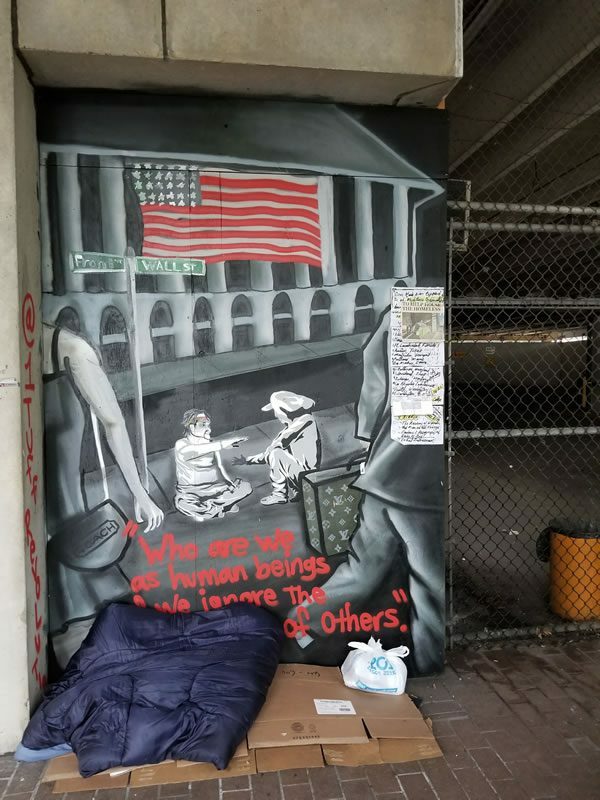 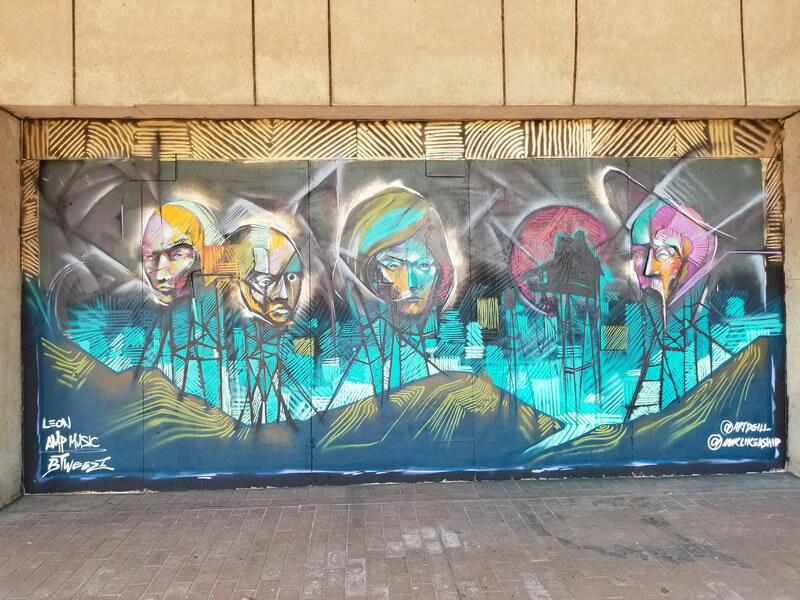 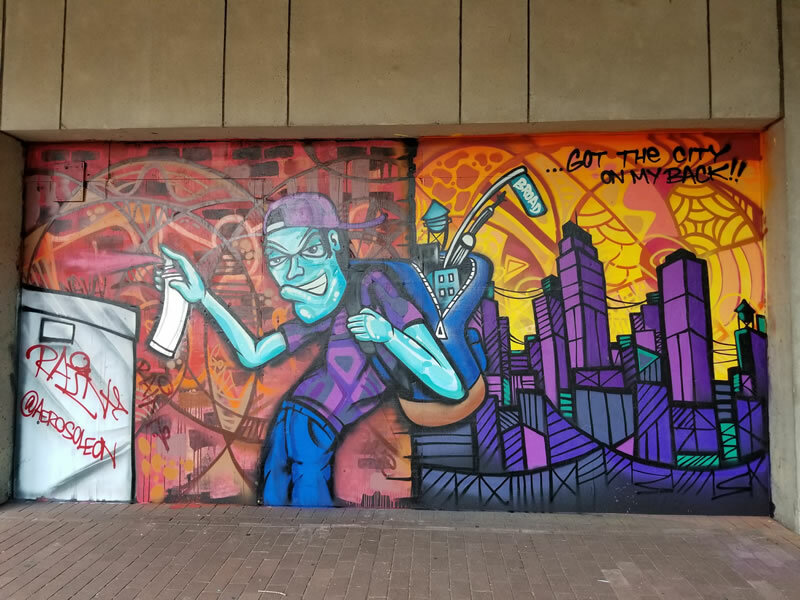 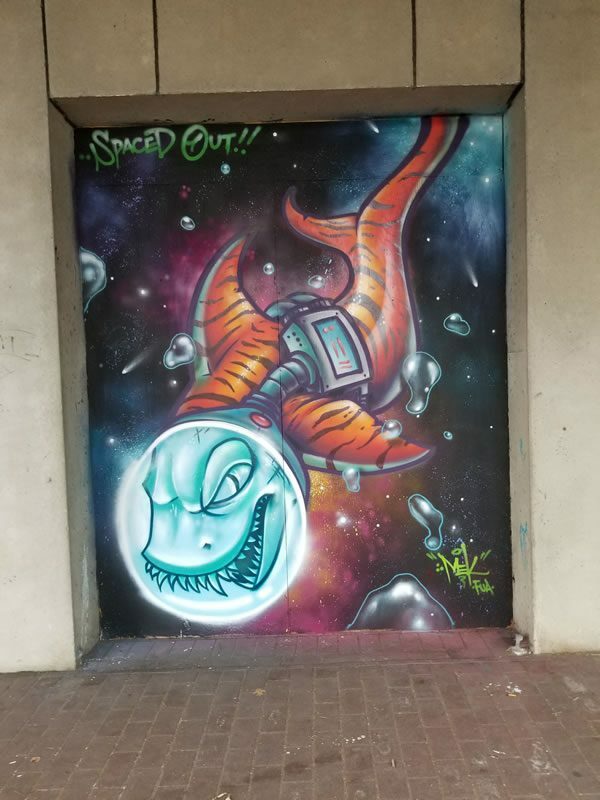 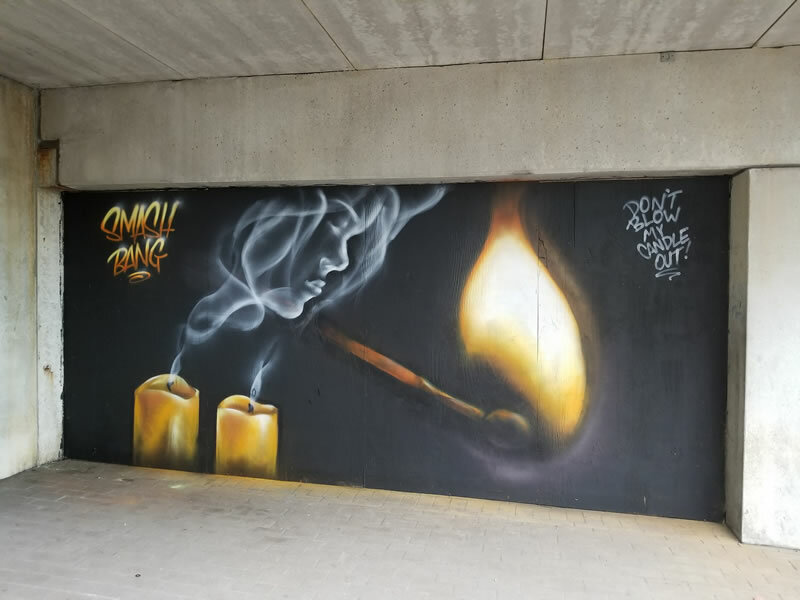 The murals were painted on the boarded up sections of the parking garage across the street from the park on front and broad. 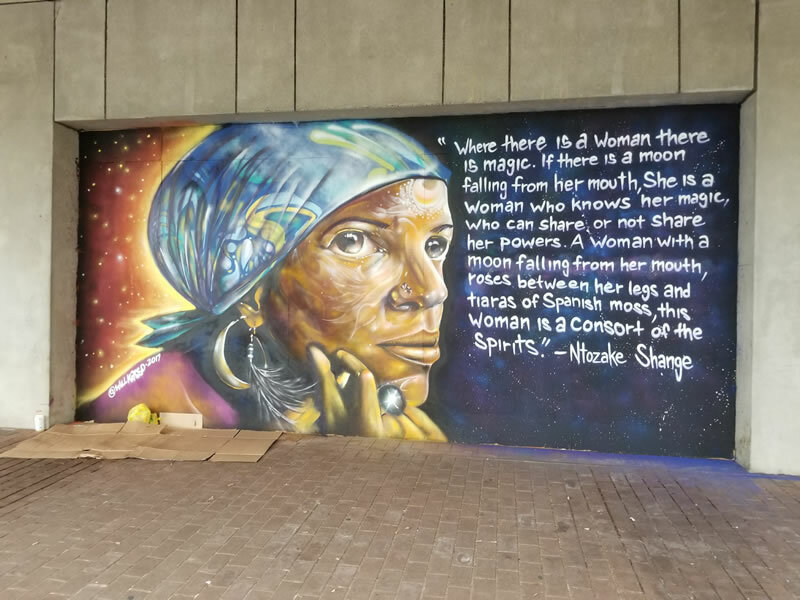 The murals will remain until the garage is developed or torn down. 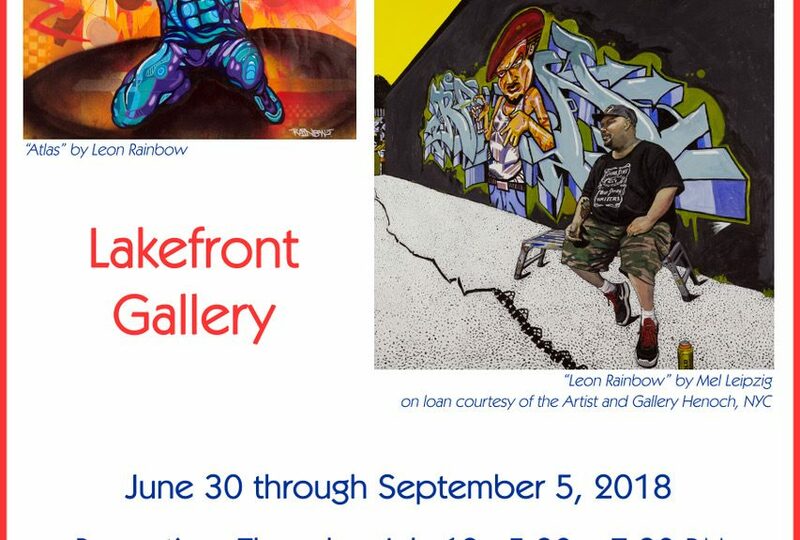 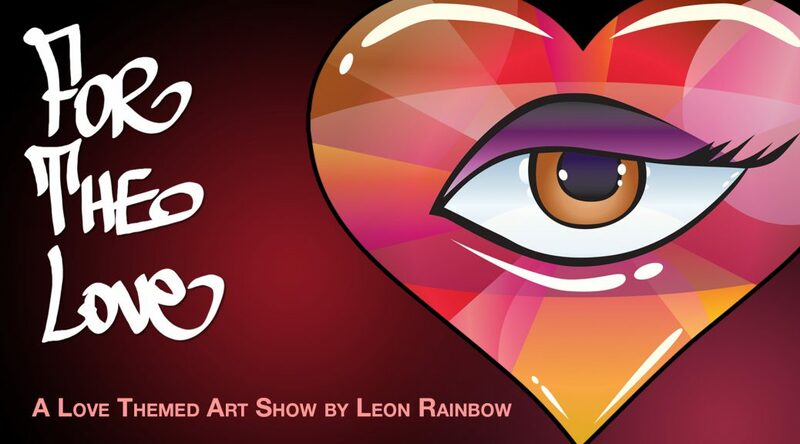 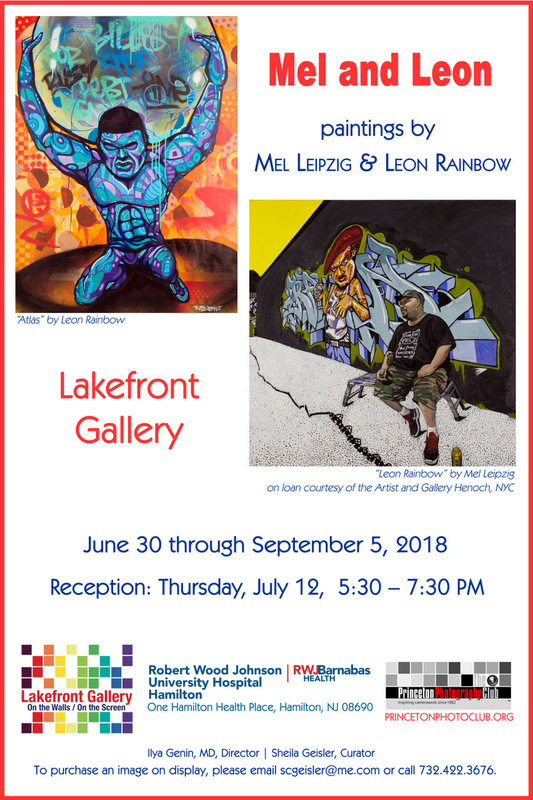 Participating artists are Bayron Calderon, Mek, Lank, Ras, Will Kasso, Luis Sanchez, HKS 181, Billy Brown, Naval, Leon Rainbow, and Patrick Forsyth. 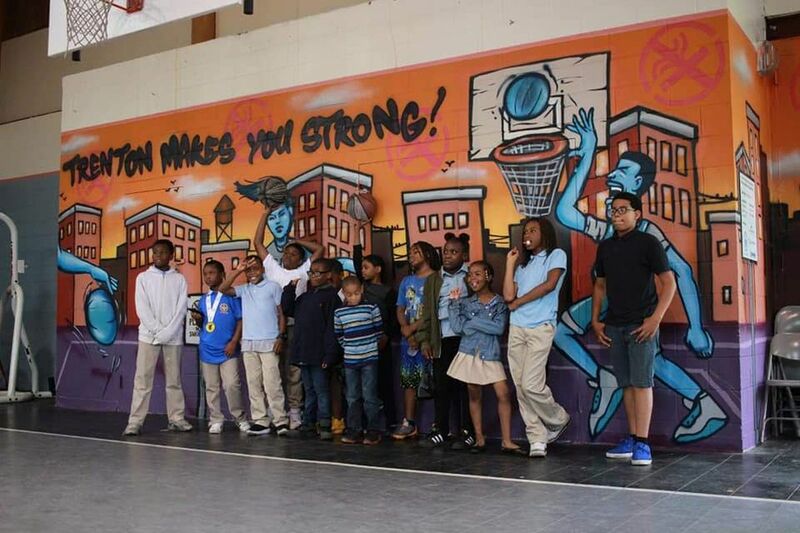 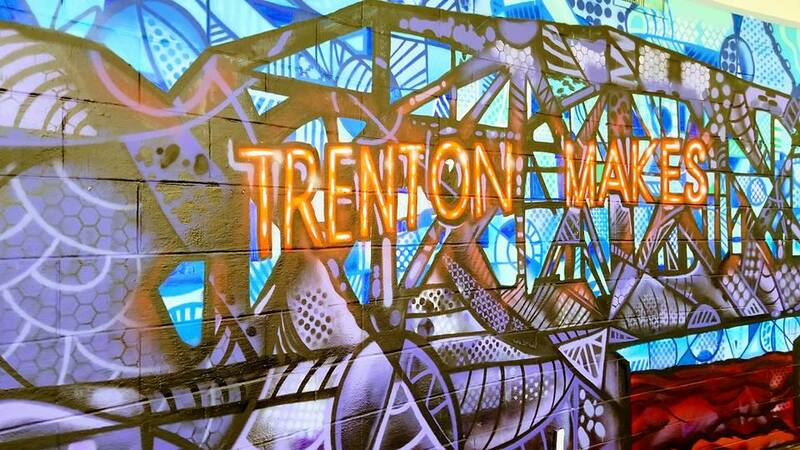 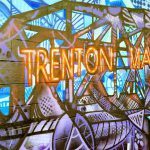 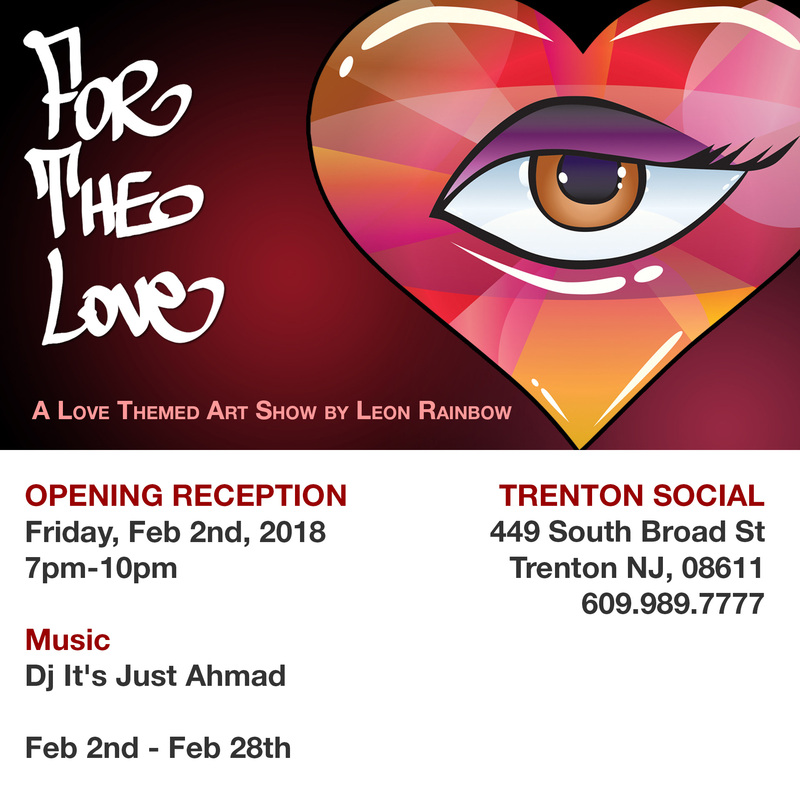 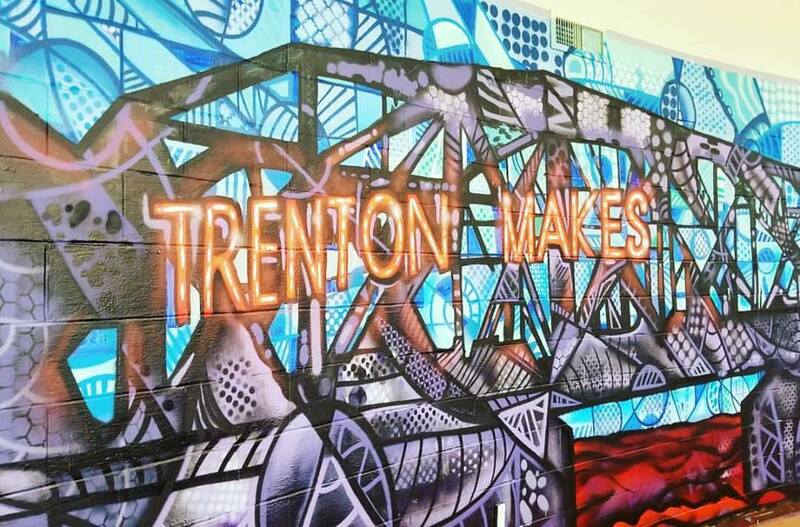 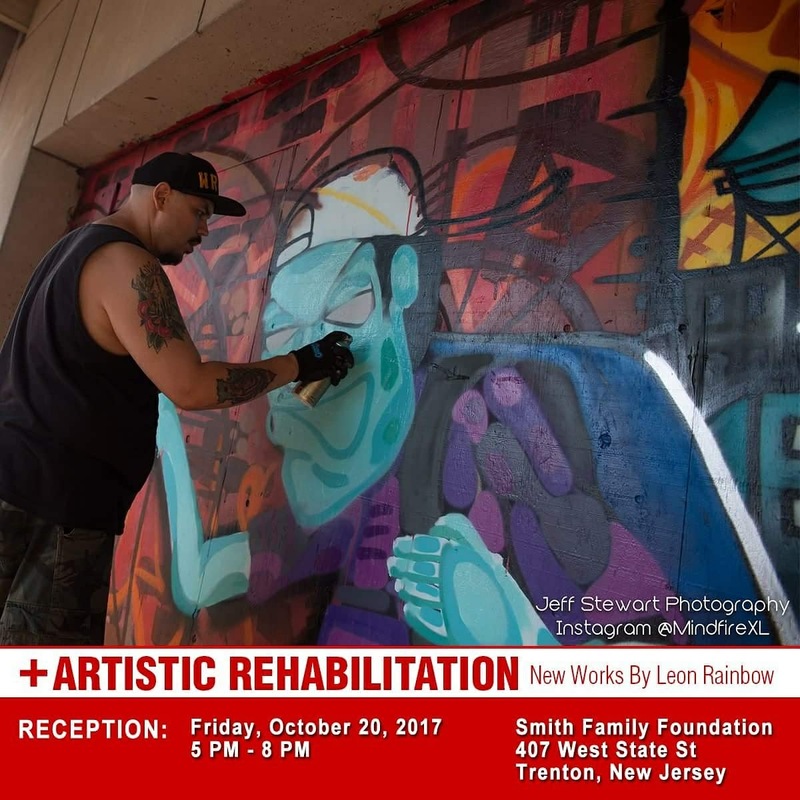 “Trenton Makes” mural was designed by world renowned artist Mr. Leon Rainbow and the students of Isles Youth Institute Evening under the guidance of Stacy Heading. 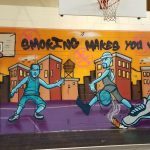 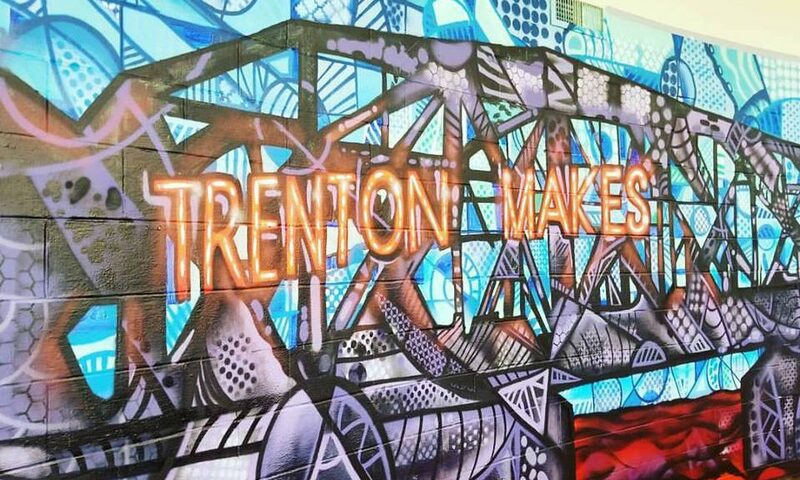 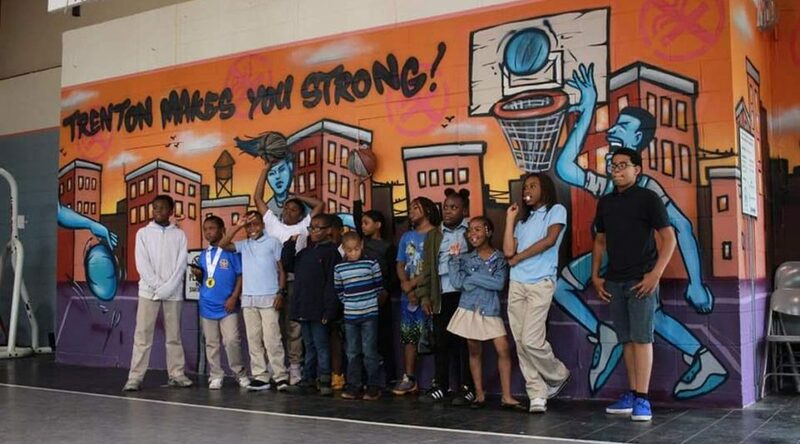 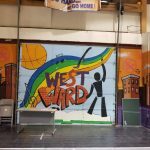 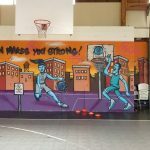 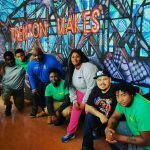 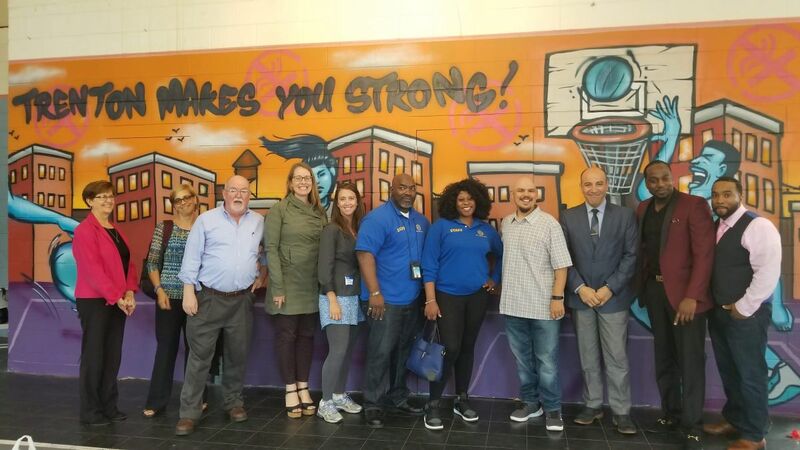 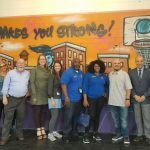 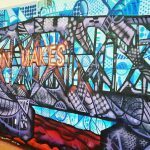 In collaboration with the City of Trenton Recreation Dept, together we created the mural Trenton Makes in the foyer of the Westward Center located at 351 Prospect Street Trenton NJ. 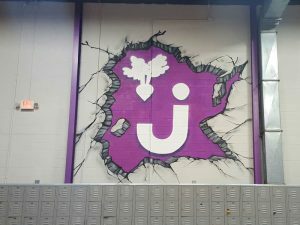 This is just one part of the IYI beautification project. 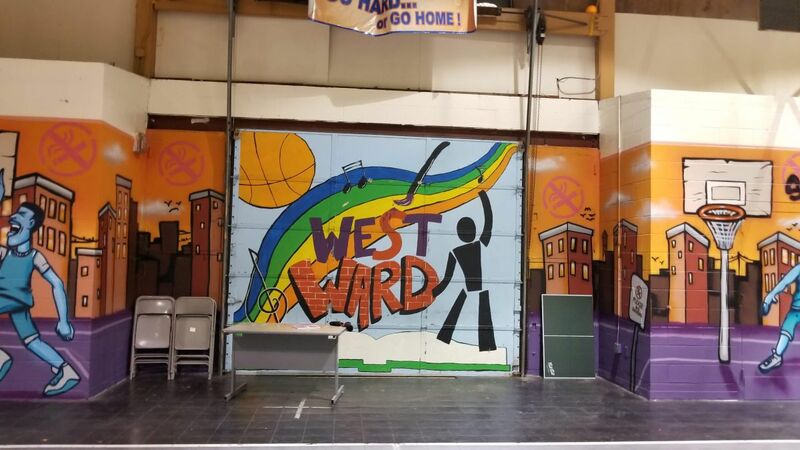 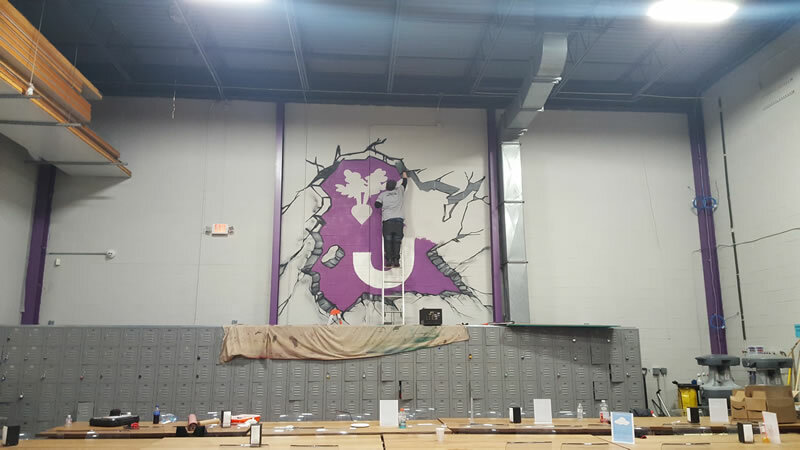 Over the summer, the students painted the inside of the gymnasium and NJ Youth Corp, painted the foyer along with the help of city staff Mr. Ron Clark and assistant. The IYI beautification project is a service learning project that will allow our students to give back to the community where they live. 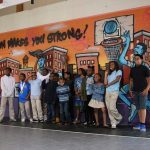 During the beautification project they will receive volunteer hours, work experience, and increase their leadership ability. 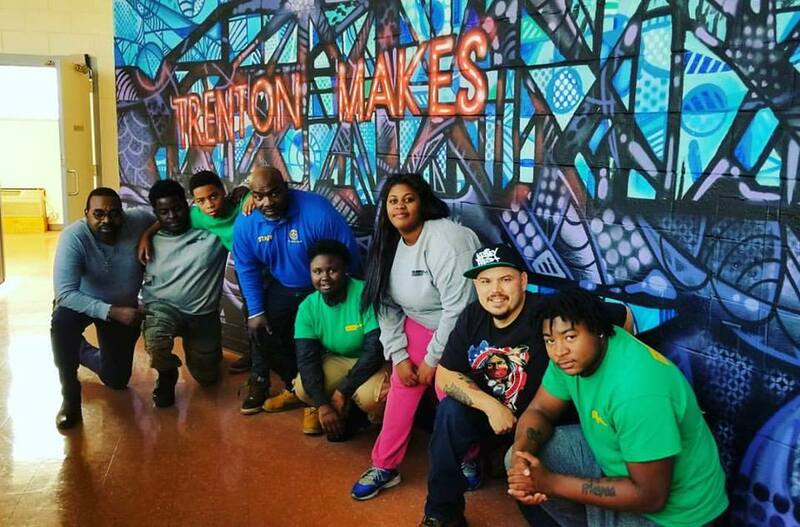 The beautification service learning project in hopes to establish a reduction in crime. 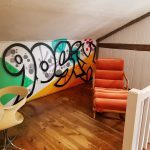 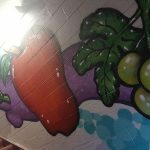 I was happy when I was contacted by my friend Tina and Doug to create a new mural in their house. 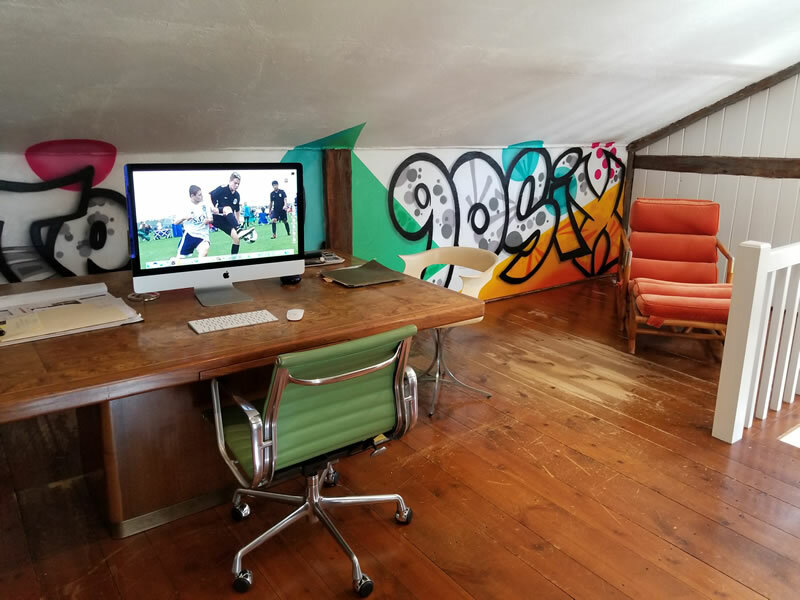 We have been talking about doing something in the house for a couple of years but it seemed like she had an idea of what she wanted. 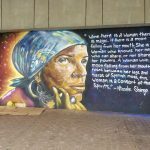 I arranged a consultation and we decided it would be cool to do something with meaning but personal to her. 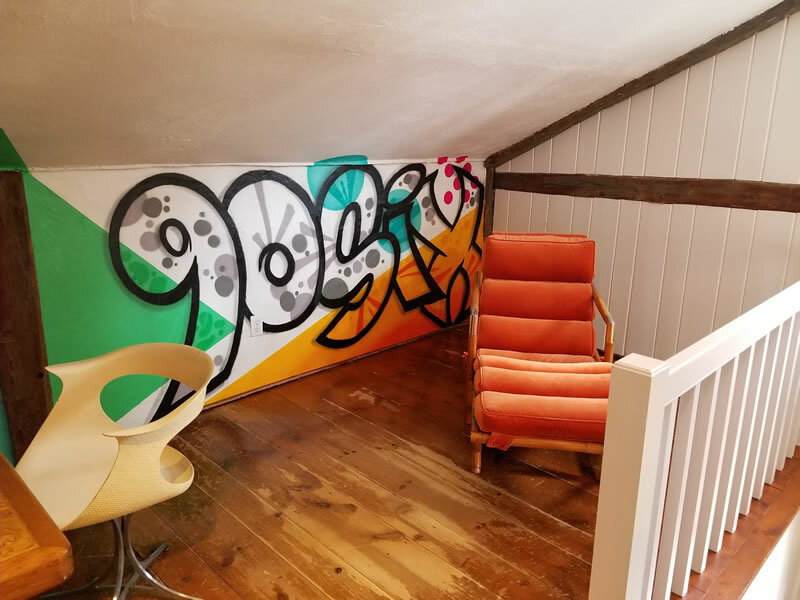 We decided to do 1996 for the year they were married after looking at the space and thinking about it for a while I asked her if we could do a mixture of letters and numbers. 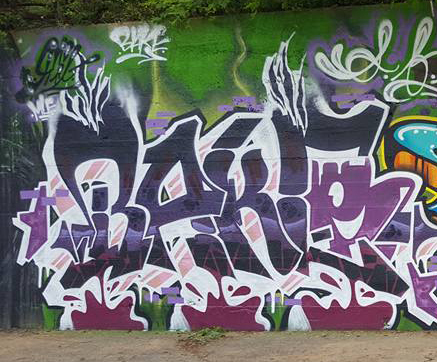 We decided on “9Teen 90Six” this had a great mix of letters and numbers and fit the landscape orientation of the piece. 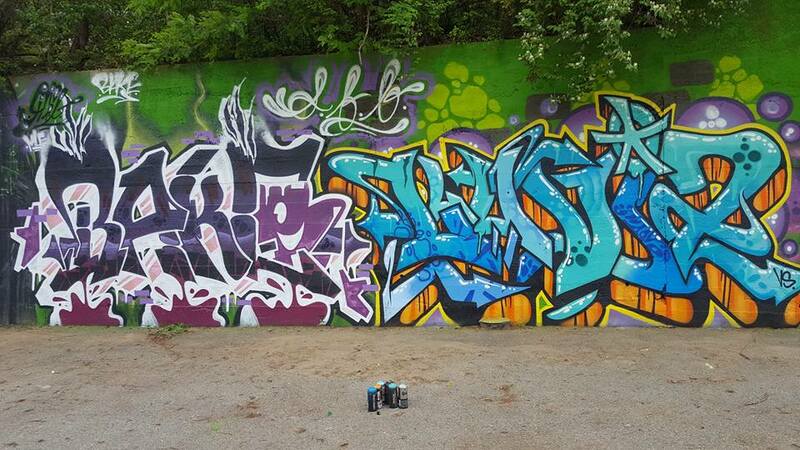 We decided to do clear pieces on white with pops of color patterns and shapes. 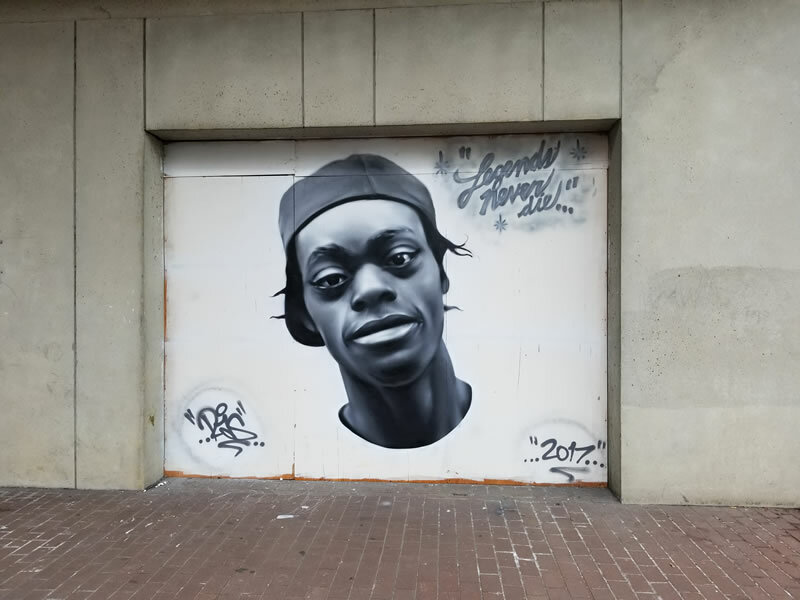 Went down to Washington, DC with my friend Bake for the Fine Lines Mural Jam. 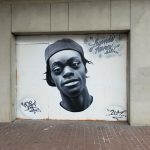 Near the Rhode Island Ave Red Line Station. 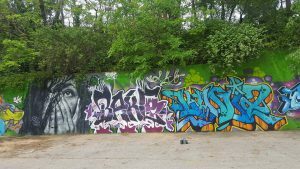 I haven’t been to this jam in a couple of years and it was a great excuse to meet up with my DC homies – Decoy, 181, Tuc, Ultra and meet some new ones. The day it was supposed to be on got rained out so we went the next day. 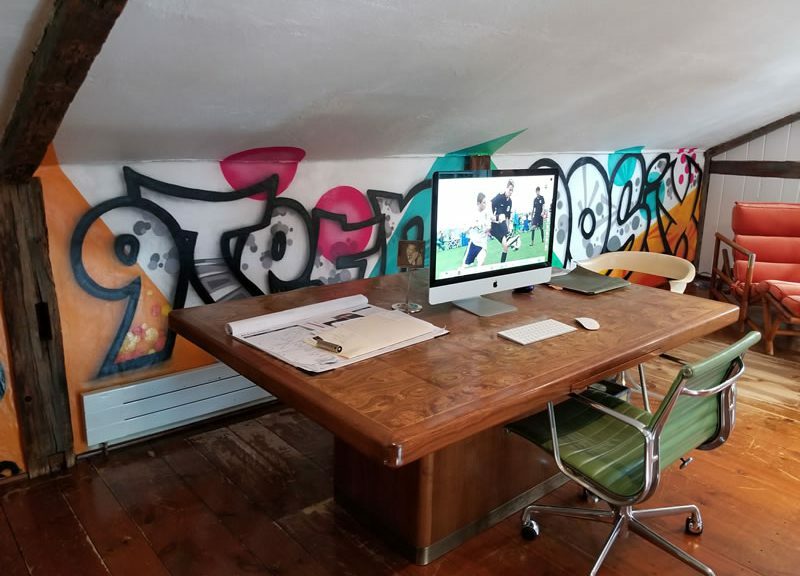 We got down around 10am and quickly went to work. 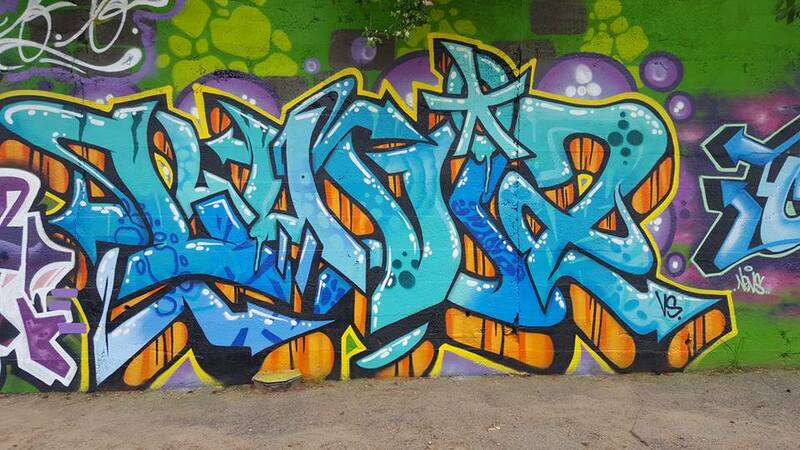 I really had a good time chillin and doing graffiti …Sunday Funday! 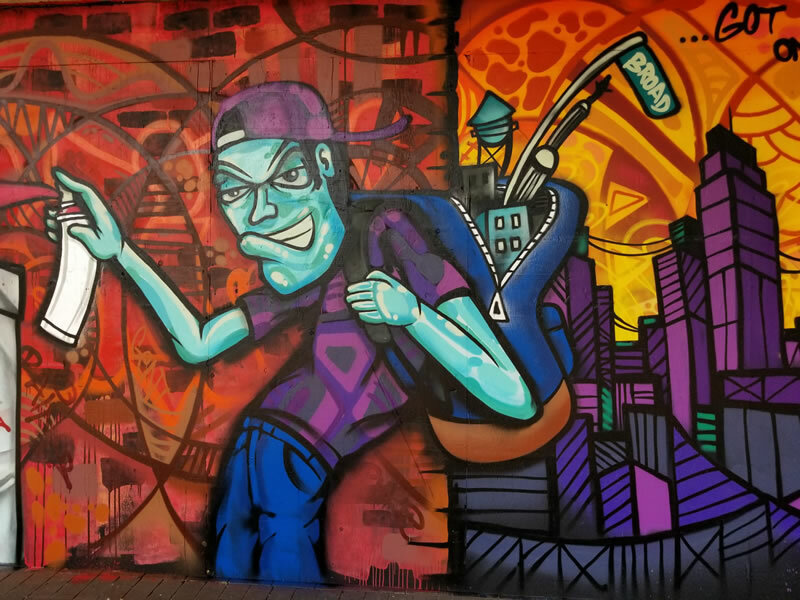 The music was fresh and there was like a hundred artists out there rockin- both Street Art and Graffiti killin a 900ft wall. 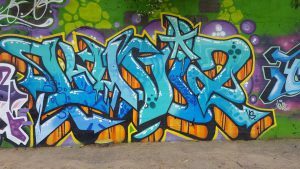 I wound up doing a “lluvia” piece which means “rain” in Spanish, it was fun and challenging to play with different letters. 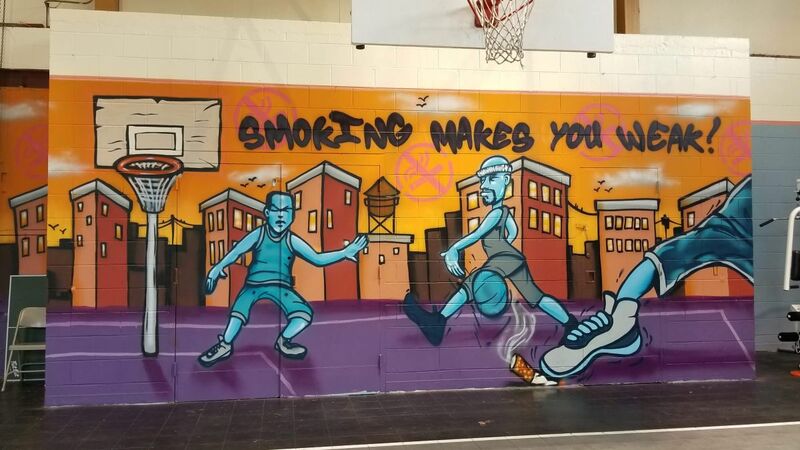 Especially the Double L in the beginning. 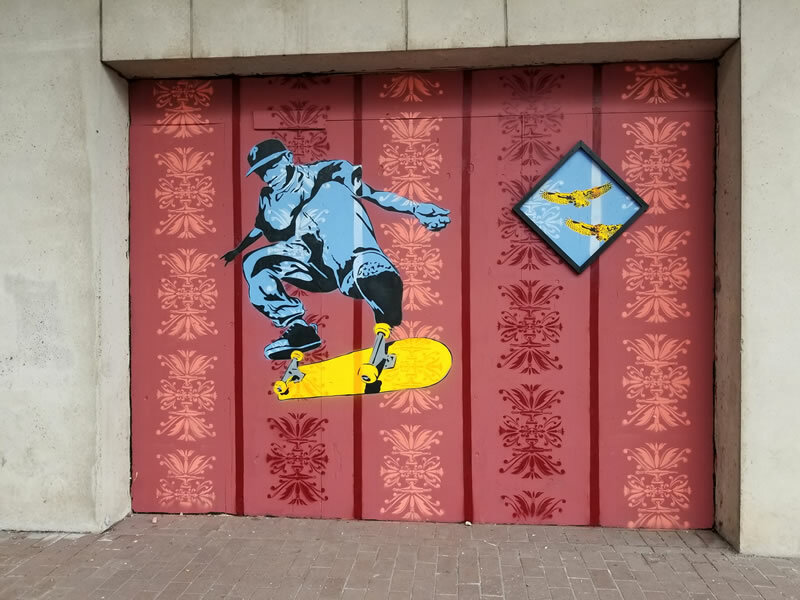 But I think it came out good. 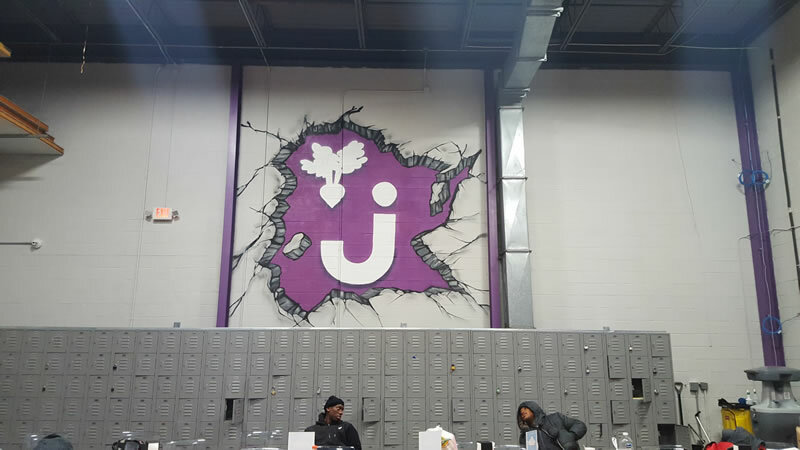 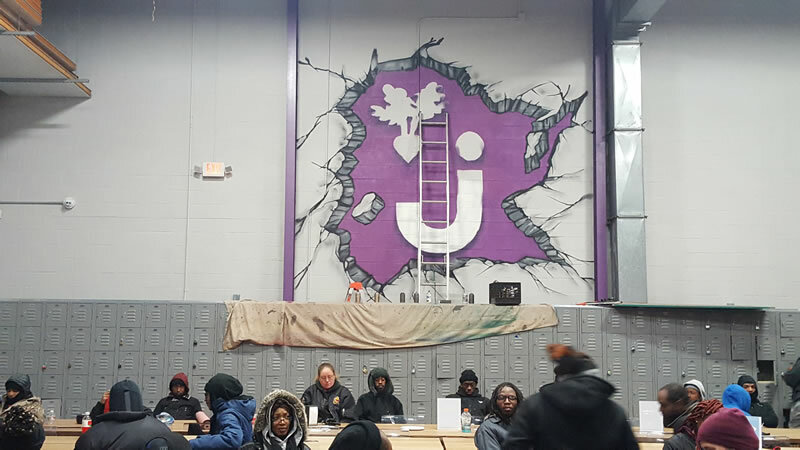 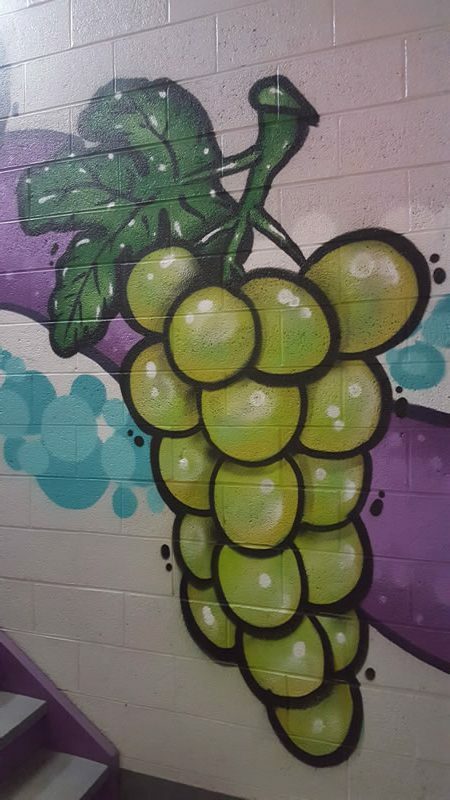 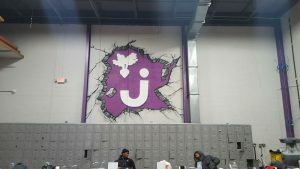 So I was contacted by Nina from Jet.com to create a series of murals at their Burlington, NJ fulfillment center. 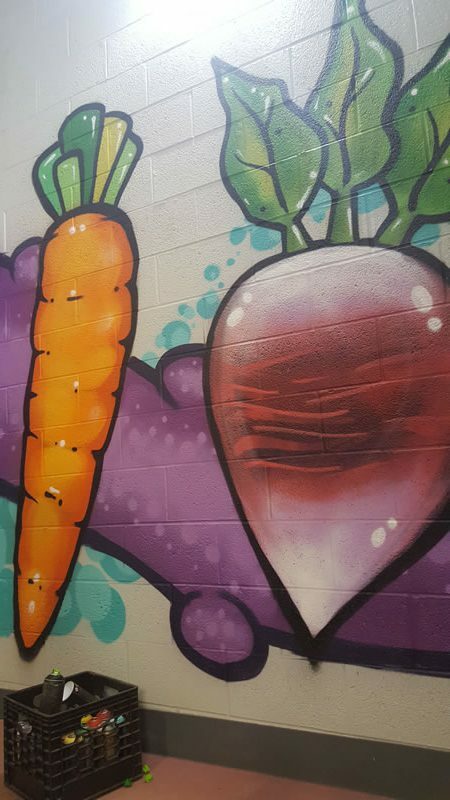 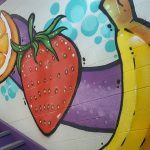 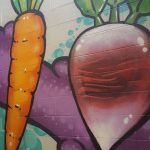 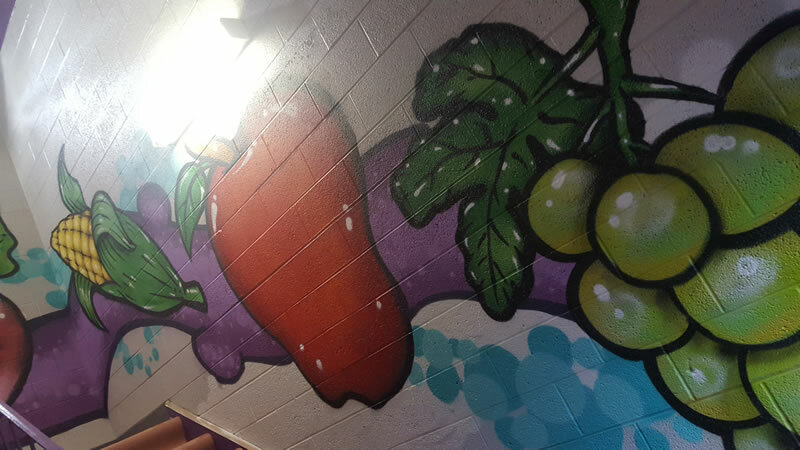 This center ships different types of food and produce, so the main focus of the stairway mural was fruits and veggies. 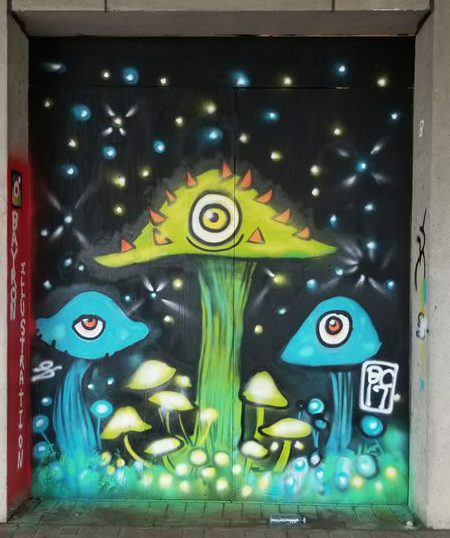 I tried to give the feeling of them splashing down the stairs. 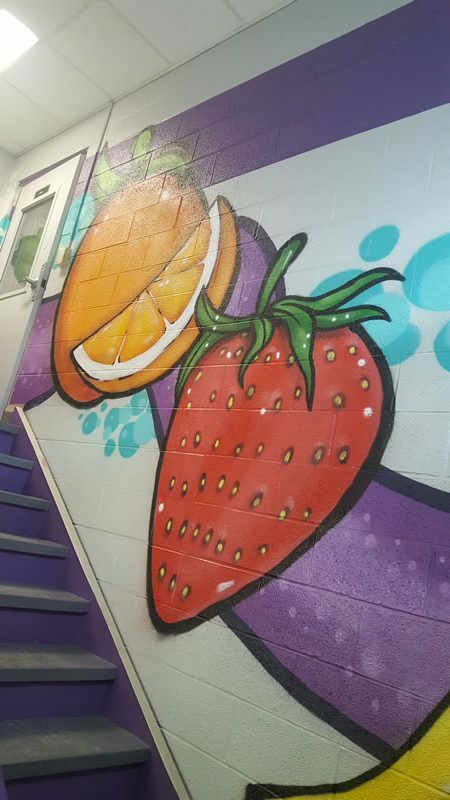 The next mural was the main wall in their cafeteria. 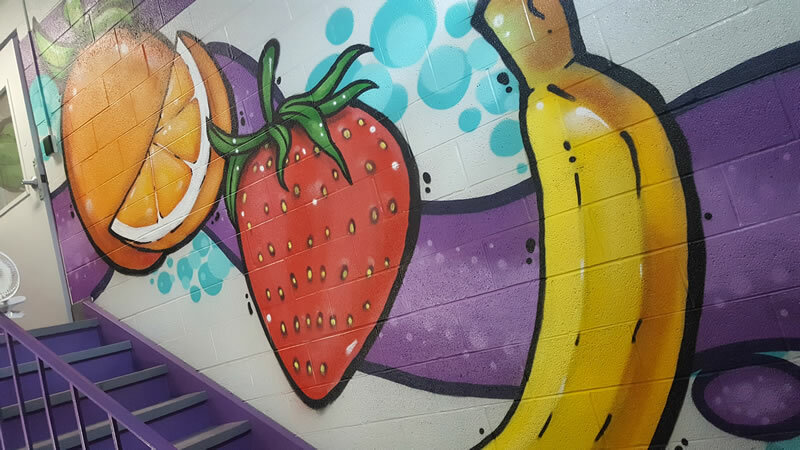 The cafe already has an modern feel so I wanted to keep it with the corporate colors purple and grey. 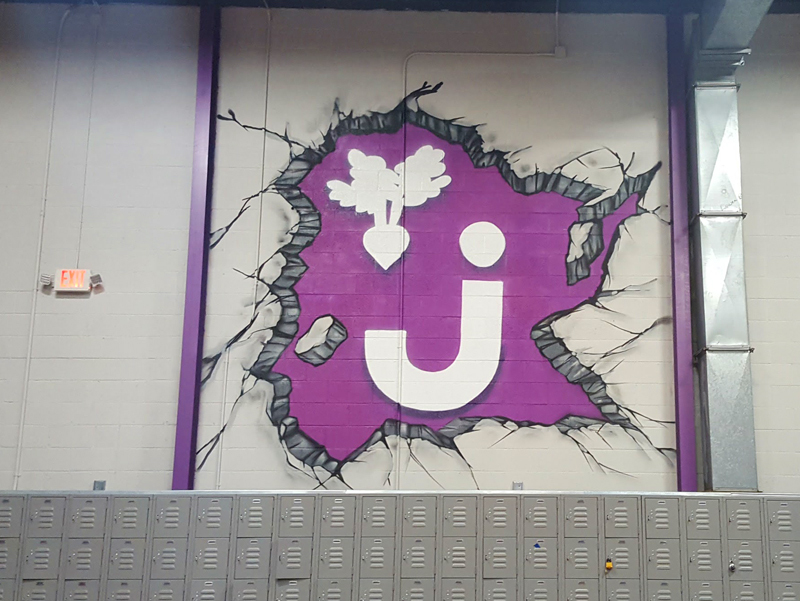 Really tried to have it look like the logo was bursting out of the wall. 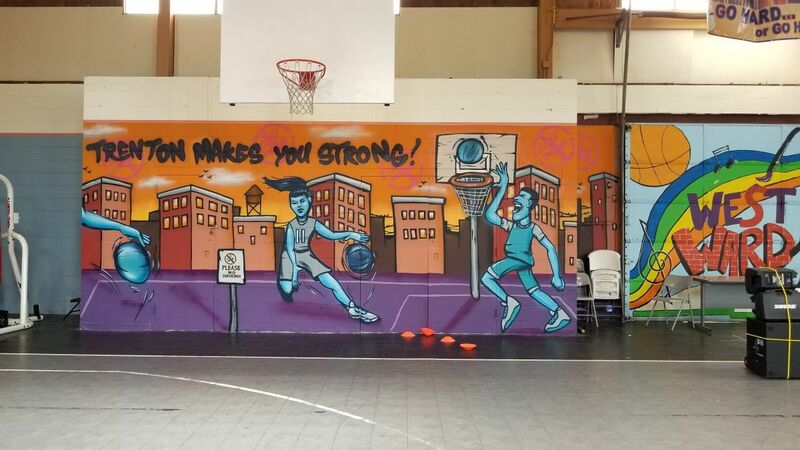 This mural was difficult because it is 20ft tall and there was a set of lockers with a 4-5ft space between them and the wall. 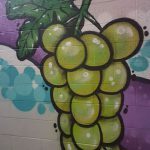 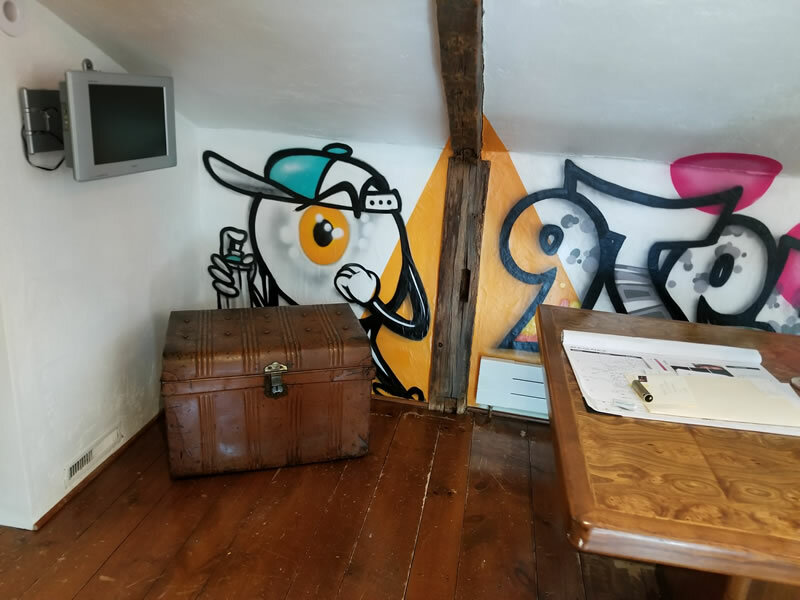 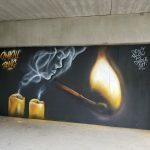 Both murals were difficult to capture, but I am very please with the result.